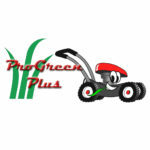 BEGINNER’S GUIDE TO LAWN CARE - ProGreen Plus | Knoxville, TN | Lawn Mower Parts | Riding Lawn Mower Parts | ServiceProGreen Plus | Knoxville, TN | Lawn Mower Parts | Riding Lawn Mower Parts | Service | We've Got Your GRASS Covered! Mowing, watering, weeding, oh my! Whether you have just recently purchased a house and find yourself with a lawn to contend with, or if you are just now getting into the swing of this whole lawn care thing, keeping your landscape healthy can seem like a full-time job. But achieving a gorgeous and healthy lawn doesn’t have to be a total hassle! Luckily, you’ve got friends like us in your corner with some great expertise to help make this process a little easier. NEW TO LAWN CARE? GET THE DIRT HERE! Although your lawn may seem intimidating at first, with some time, some know-how, and a few deep breaths, you too can have a beautiful lawn to be proud of. Read on to learn all about the basics of lawn care so you can host that first backyard barbecue with pride! the truth is, properly mowing your lawn requires a little more expertise than you think. Properly mowing your lawn is about three things: blades, height, and frequency. Blades: Before you even think about mowing your lawn, you need to make sure that your mower blades are sharp. Mowing your lawn with dull blades tears your grass instead of cutting it, which is unsightly and unhealthy. If you don’t want to deal with sharpening blades yourself, check out your local home improvement shop or garden store–they can do the job for you quickly and usually for cheap! Height: Let’s face it, mowing the lawn isn’t much fun. It can be tempting to crop your grass as close to the ground as possible, so you don’t have to mow every weekend–smart, right? Wrong! When you slice your grass too close to the root, it can become unhealthy and start to die. Instead, raise those mower blades–your grass will thank you! Frequency: Yes, we know, a taller height means that you have to mow more often. But before you surrender at the thought of your Sunday mornings disappearing into a flurry of grass clippings, just keep in mind that mowing more frequently and at a taller height will give you healthier grass–which means your efforts will get rewarded with a lush, healthy landscape. Water in the early morning. That’s right, you might have to set your alarm a bit earlier, but watering your lawn in the early morning allows the moisture to get down into the root systems before the heat of the sun evaporates it away. And don’t even think about cheating and watering at night when the sun goes down! Doing so could bog down your roots and give you soppy, saturated soil. Water about one inch during each watering session–this is the perfect amount of water for your landscape to absorb without becoming oversaturated, and enough to keep your grass perfectly hydrated. Water about three times per week. Any more than that could oversaturate your soil; any less could leave your grass roots high and dry! Remember, three times a week at one inch! Check your grass for puddles and dry spots after you water. Not everyone is fortunate enough to have a perfectly flat landscape, so it is important to see where your water is running to. If you see dry patches, focus on watering more in those areas. If you see puddles, try to divert some of that moisture away. Equalizing the water you expose your lawn to will help you achieve perfectly green, lush grass! Timing is everything when it comes to fertilizer–you want to apply fertilizer to your lawn only during its growing seasons. For cool season grasses, fertilize in the fall and spring and for warm season grasses, fertilize in the spring and summer. Regularly test the pH of your soil to ensure that you are using the right kind of fertilizer. Consider using a spreader or a calibrated spray nozzle to help spread your fertilizer over your lawn rather that doing it by hand. Not only will this save you time, but it will help ensure an even spread of fertilizer for your hungry grass to munch on. WEED CONTROL: DON’T FEED THE WEEDS! Most of your lawn includes weed seeds–they just haven’t germinated yet. Avoid tilling your soil too often to avoid plopping these unseen weed seeds into fertile soil to keep more from popping up. Make mulch your friend. Besides the fact that mulch looks gorgeous, did you know that it can also help with weed control? Weeds need light to germinate and grow, and covering portions of your land with mulch stops weed seeds from getting that sunlight. Bonus–more mulch means less grass to mow! Keep your plants closer together. When you reduce the space between the plants in your garden, the weeds will have less space to grow and more competition for nutrients and sunlight. If your routine lawn maintenance doesn’t have your landscape looking the way you want it to, aeration and seeding can help. These processes help to revamp an exhausted lawn after a year of inevitable wear and tear. If you spend a lot of time out in your yard, or if you have started to notice bald or browning patches, your grass may be crying out for help! Note: We would recommend hiring a professional to aerate your lawn. Doing it incorrectly could result in even more damage. NOW IT’S TIME TO FILL IN BALD SPOTS! Once your lawn is aerated, it is in the perfect position to benefit from overseeding. During the overseeding process, you can spread grass seed over your newly-aerated lawn. This will help to fill in bald patches in your landscape, and will make your lawn fuller and healthier overall. This is one of the many tricks that professionals use to bring a failing lawn back from the brink and revitalize lawns that need a little bit more than just routine lawn maintenance. You should aerate and overseed your lawn at least once a year to ensure that your grass receives the full benefit of this lawn care technique. For warm-season grass, aeration and seeding is best done in the spring, while with cool-season grass, fall is the best time.